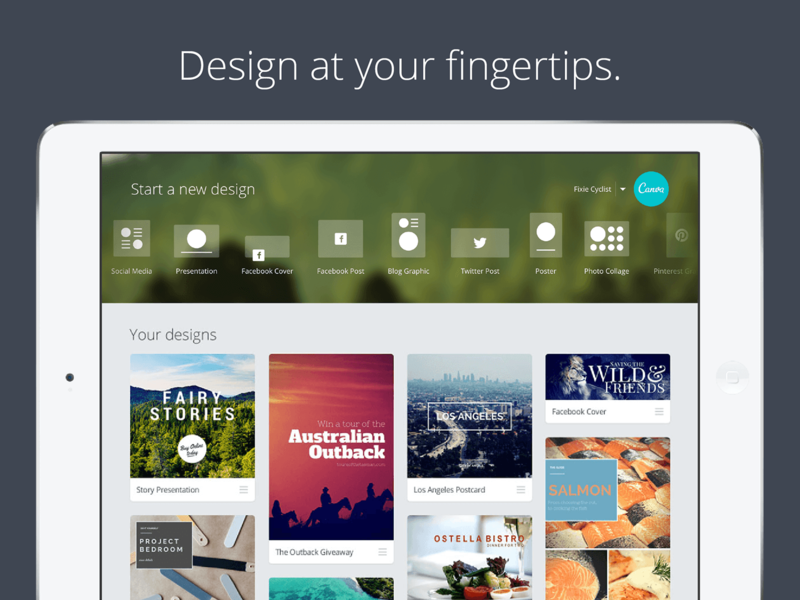 We’re very excited to today announce the launch of the Canva app for iPad. 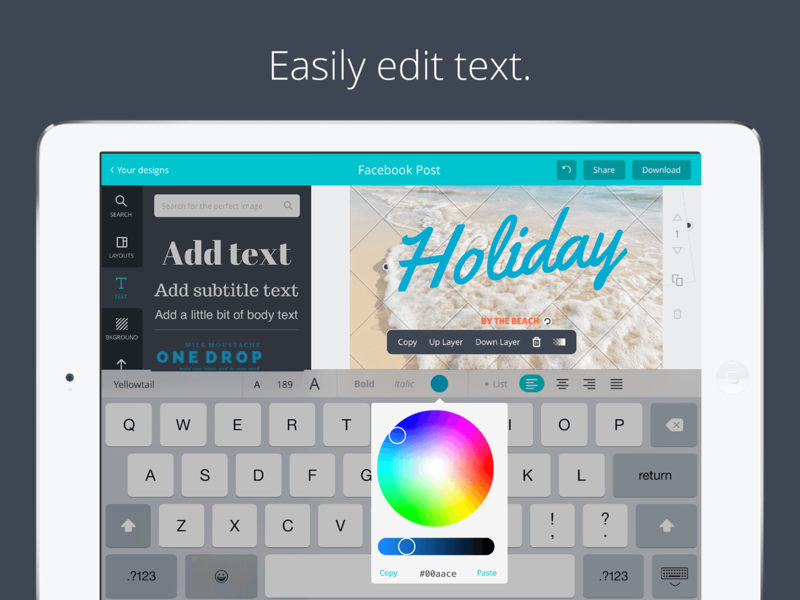 The app brings together a simple drag-and-drop design interface with a library of more than one million photographs, graphics and fonts, and it makes creating graphics fast and easy. 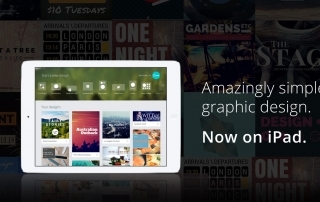 Canva’s iPad app is free to download and provides access to Canva’s library of millions of stock photographs, illustrations and layouts. Users can upload photos from their device or Facebook account, or pay per premium element when they publish their design. 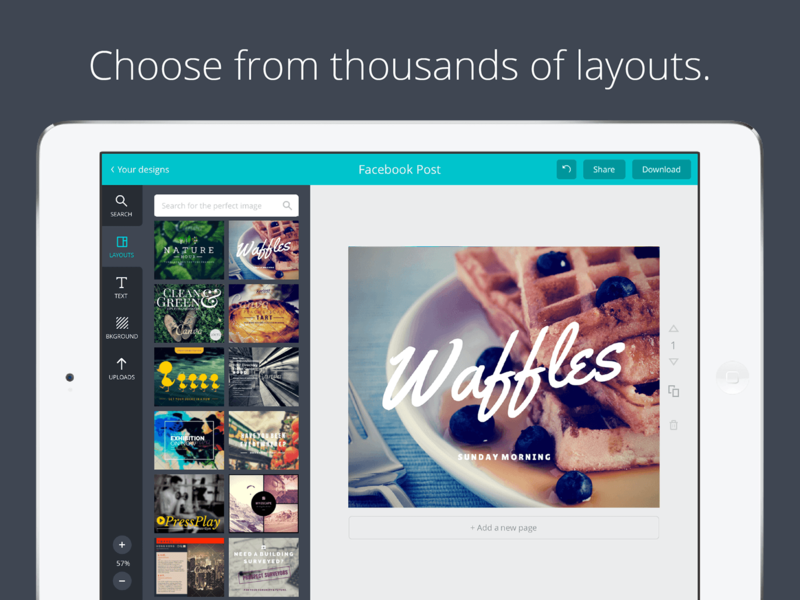 Canva also provides professional designers with a faster way to create layouts and collaborate with clients, removing the need for frustrating back-and-forth email exchanges. The iPad app makes it especially easy to collaborate on the go. Design for work, and play. Never worry about dimensions again. Easily design for social media, blog graphics and print. Perfect for social media. Create social media graphics with ease. Professionally designed layouts that are perfect for Facebook, Twitter, Google Plus, Pinterest, and Instagram. 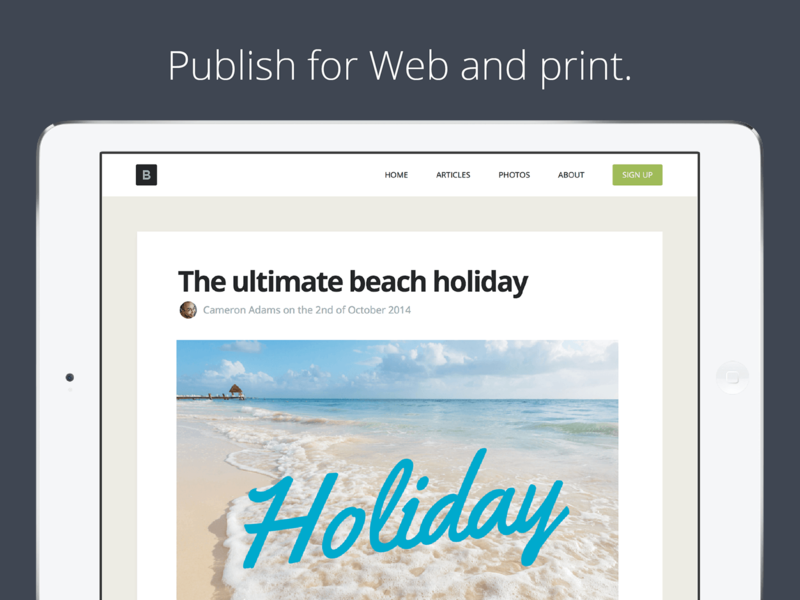 Design on your iPad or the Web. Create a design on your desktop computer, edit it on the go. Canva goes wherever you do. Choose from more than one million images and hundreds of fonts. 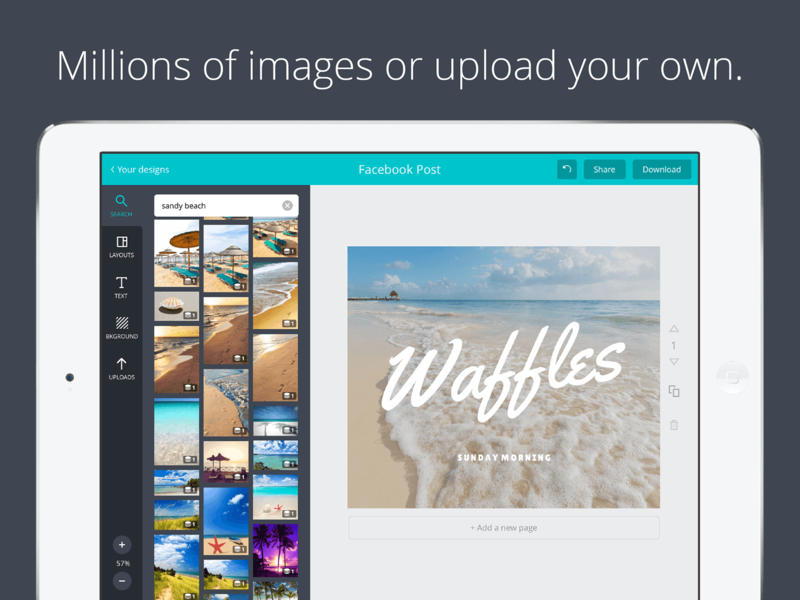 Design with more than 1 million photos, graphics and fonts, or upload your own.